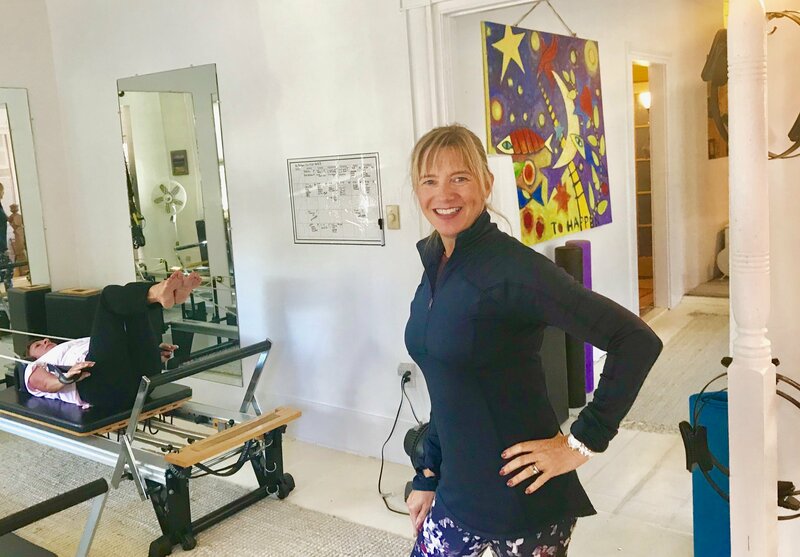 Maureen Cabral received the bulk of her formal and personal STOTT PILATES® training while living in Belgium with her husband and children. This experience, along with her Personal Training Certification, gives her a unique perspective and teaching style. At APROMA STUDIOS her lessons are appropriate for beginners as well as experienced students and those wishing to get their emphasis back to the STOTT PILATES® Basic Principles and proper form in a fun and safe way. Yearly STOTT PILATES® & Merrithew™ continuing education. 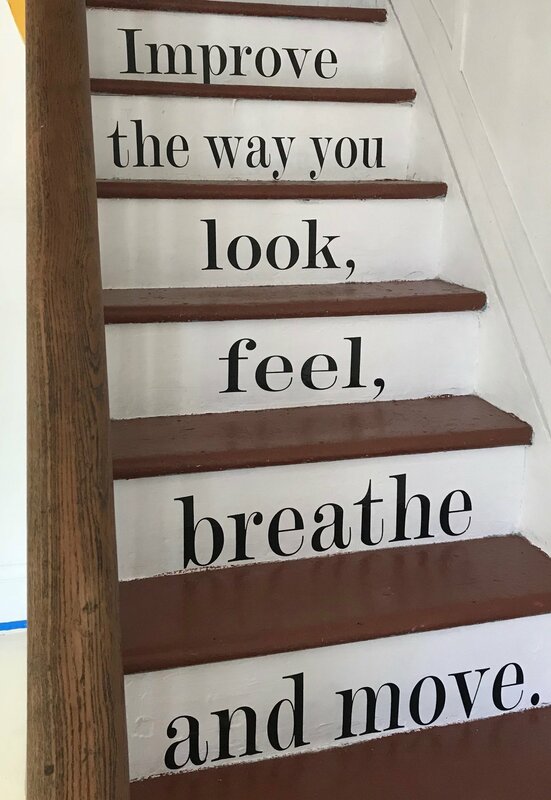 Established by Lori Cote in 2001, APROMA STUDIOS is a fully equipped Pilates and Massage Therapy studio providing group classes and private lessons in functional fitness and mindful movement. We offer STOTT PILATES® , TRX., Personal Training. Licensed Massage Therapy and other Holistic Bodywork. 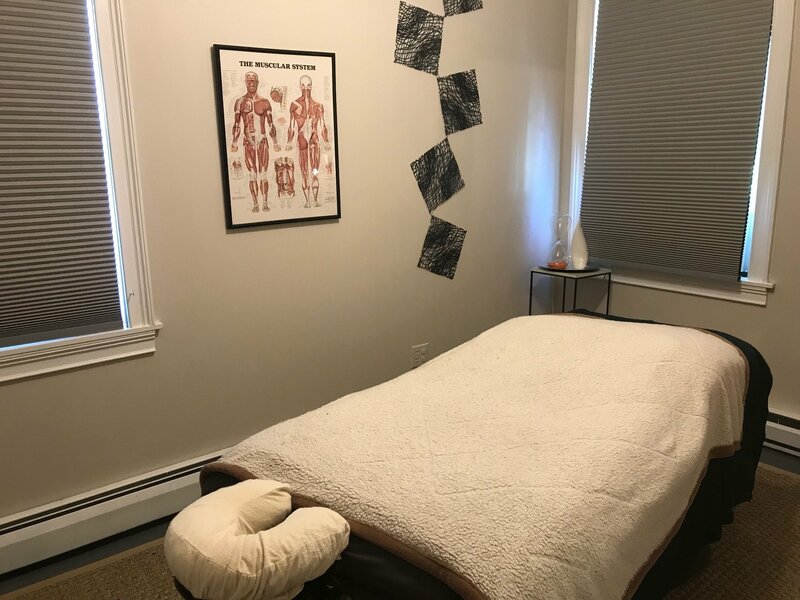 In addition to our Mystic CT studio, we have a petite Pilates studio in Westerly R.I.
Pilates is a mind-body exercise emphasizing core engagement and deep breathing. Benefits include core strength, joint and back pain relief, improved posture and long/lean muscle development. STOTT PILATES® is a contemporary approach to the original exercise method pioneered by the late Joseph Pilates. 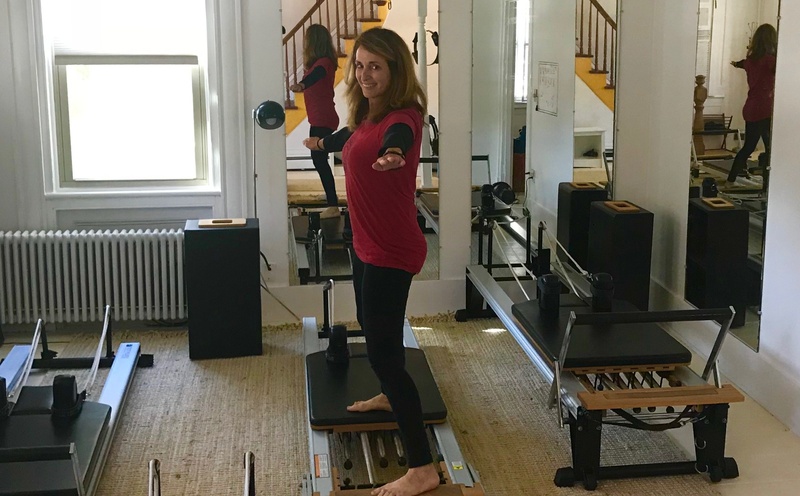 Co-founders Moira and Lindsay G. Merrithew, along with a team of physical therapists, sports medicine and fitness professionals, have spent more than a decade refining the STOTT PILATES® method of exercise and equipment. This resulted in the inclusion of modern principles of exercise science and spinal rehabilitation, making it one of the safest and effective methods available. This clear and detailed approach forms the basis for STOTT PILATES® training and certification programs. It's used by rehab and prenatal clients, athletes, celebrities and everyone in between. STOTT PILATES® and became an Ashtanga yoga teacher. She founded APROMA STUDIOS in 2001. Her daily practice of Pilates and Ashtanga not only healed her knees while maintaining a high level of physical fitness, it also brought relief from back pain and emotional stress. She brings strong knowledge of functional fitness and massage therapy through her personal and professional experiences. She treats each client with clarity, empathy, calmness and patience. Ashtanga Yoga Adjustment & yoga teacher training with David Swenson and Nancy Gilgoff. Yearly STOTT PILATES® & Merrithew™ continuing education to maintain certification.